Vietnam is a narrow strip of a country, but it stretches for more than 1,500km from its southern tip to the northern border with China. It is a country with a rich history and a uniquely high level of biodiversity, making it an ideal destination for most tourists, from adventure seekers, to honeymooners, history buffs, and everything in between. Do Australians need a visa for Vietnam? Australians travelling to Vietnam must have a visa, a visa exemption certificate, or an approval letter for a visa-on-arrival. For stays of less than 30-days, Australian residents can apply for an e-visa online, but for longer stays - and for residents requiring multiple entries to Vietnam - an in-person application is necessary. What vaccinations do I need for Vietnam? Tetanus, Hepatitis A, and Typhoid vaccinations for all travellers. Diphtheria, Meningococcal Meningitis, Tuberculosis, and Japanese B Encephalitis if you plan on visiting any rural areas in Vietnam. Hepatitis B and Rabies if you plan on trekking or hiking through Vietnam. If it has been more than 12-months since your last flu injection, now would also be a good time to ask for the latest flu immunisation. Malaria is quite prevalent throughout Vietnam, and while there is no vaccination against Malaria, you should ask your doctor about preventative treatment. The biggest health risks to travellers in Vietnam come in the form of food and water borne diseases, and diseases transmitted by mosquito bites, making travel insurance a vital component of your travel plans. There’s no shortage of must-visit places in Vietnam, making it difficult for first-time visitors to see and do everything. It is perhaps best for each traveller to do a bit of research before deciding what areas and cities must form part of their itinerary, since it will also be influenced by their own needs. Ha Long Bay is a UNESCO World Heritage Site, and perhaps the most visited destination, with hundreds of islands surrounded by floating villages, caves to explore, and exotic beaches for a bit of relaxing sunbathing. But it is also not the only UNESCO site in Vietnam. And if bustling cities are more your style, you have both Hanoi and Ho Chi Minh City to choose from, each offering a very different Vietnamese experience. Is it safe to travel to Vietnam alone? Vietnam is a fairly safe destination for the solo traveller, requiring normal safety precautions you would follow in many destinations, especially when it comes to valuable items such as mobile phones, laptops, and cameras. Petty theft in the form of pickpocketing is fairly common, and instances of assault are not unheard of in the larger cities. The need for precautions are higher for women travelling alone, with a conservative approach to clothing possibly helping to avoid any unwanted attention. 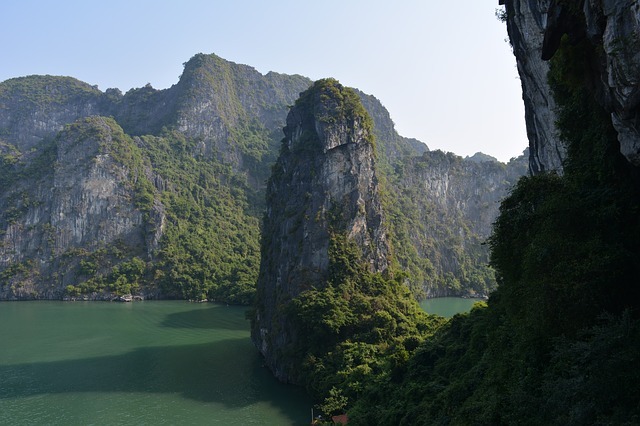 Like many destinations in southeast-Asia, anytime is a good time to travel to Vietnam, but if you’re fussy about temperatures, February to April and August to October are probably the best times. However, heavy rainfall is not evenly spread across the country, so you will find some areas experience heavy rain through the summer months, while others during autumn and winter. Having travel insurance can offer some protection against having to unexpectedly cancel all or parts of your Vietnamese trip due to inclement weather.